名古屋市昭和区の英会話スクールBigBowEnglishLab > ブログ > What’s this? A typewriter? Students in the middle school and Super High School classes take turns doing "Show and Tell," where they bring something important to them and tell their classmates about it. This week, Seth, our assistant teacher decided to bring something for Show and Tell. He brought a typewriter! 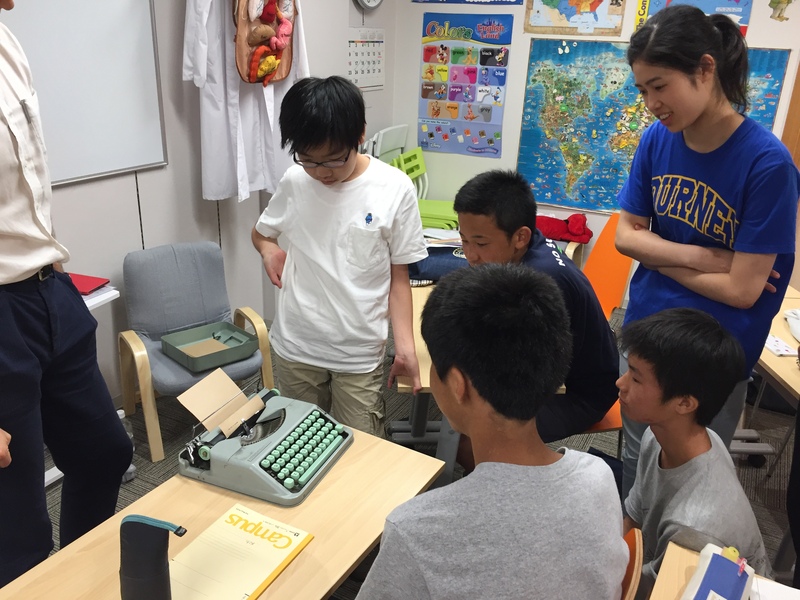 Most of the students had never had a chance to see a typewriter up close or type anything on one, so this was really interesting for them. They also asked questions that showed they are definitely part of the computer generation, like, "Can you make the letters larger?" or "What do you do if you make a mistake?" They looked amazed when I told them the tedious process of having to use correction tape to cover up a mistake. 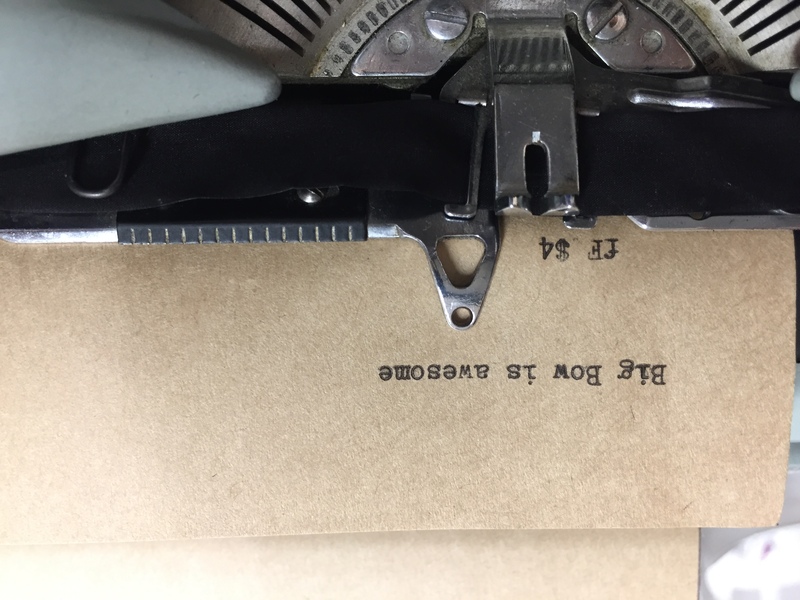 I learned to type using a typewriter and didn't have a word processor until I was in college. I thought about this often while I was working on my MSc dissertation. I can't imagine having to write a dissertation using a typewriter. 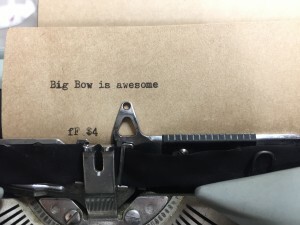 I definitely prefer my Macbook Pro to an old fashioned typewriter.